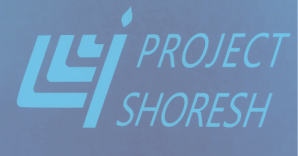 Welcome to the Project Shoresh site. The word: "Shoresh" (שרש) is Hebrew for "root" or "source." We are a resource that is dedicated to making it practical for Jews to connect to their roots, to their source, regardless of their current or past connection to Judaism. ​Sign up here for whole program. Click here for one session. We are proud to be part of OLAMI!